The PIMCO 0-5 Year High Yield Corporate Bond Index Exchange-Traded Fund is designed to capture, before fees and expenses, continuous exposure to the short maturity segment of the high yield corporate bond sector. The fund tracks The BofA Merrill Lynch 0-5 Year US High Yield Constrained IndexSM, and aims to achieve the yield, volatility level, and low or negative correlations with other asset classes inherent in short maturity high yield. Mr. Dorsten is an executive vice president in the Newport Beach office and a portfolio manager in the quantitative strategies group. 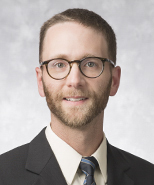 He is the lead portfolio manager for managed futures in addition to having portfolio management responsibilities in multi-asset alternative risk premia and beta replication strategies. He was previously a member of the financial engineering group working on mortgage-backed securities and event-linked bonds. Prior to joining PIMCO in 2006, he received his Ph.D. in theoretical particle physics from the California Institute of Technology, where he was a National Science Foundation Graduate Research Fellow. He has 12 years of investment experience and holds undergraduate degrees in mathematics and physics from Ohio State University. 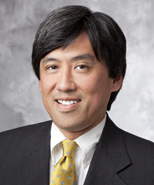 Mr. Handa is a vice president in the Newport Beach office and a portfolio manager for the quantitative portfolio group. He focuses on PIMCO’s ETFs and index replication and smart passive strategies. Prior to joining PIMCO in 2012, he was a portfolio manager and a trader for Blackrock’s model-based U.S. rates products in San Francisco. Mr. Handa started his career as an options trader on the interest-rate derivatives desk at ABN Amro in Chicago and also traded global fixed income and currencies for Barclays Global Investors Japan. He has 21 years of investment and financial services experience and holds a master’s degree in physics from the University of California, Los Angeles and a master’s degree in financial mathematics from the University of Chicago. He earned his undergraduate degree from the City University of New York. Mr. Rennison is a senior vice president in the quantitative portfolio management group in the Newport Beach office, focusing on multi-asset-class systematic strategies. He was previously a member of the client analytics group, advising clients on strategic asset allocation. 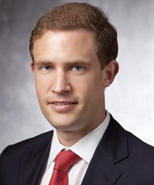 Prior to joining PIMCO in 2011, Mr. Rennison was a director and head of systematic strategies research at Barclays Capital in New York and also spent five years at Lehman Brothers. He has 17 years of investment experience and holds master's and undergraduate degrees in mathematics from Cambridge University, England. The ICE BofAML 0-5 Year US High Yield Constrained Index tracks the performance of short-term U.S. dollar denominated below investment grade corporate debt issued in the U.S. domestic market with less than five years remaining term to final maturity, a fixed coupon schedule and a minimum amount outstanding of $250 million, issued publicly. Prior to September 30, 2016, securities with minimum amount outstanding of $100 million qualified. Allocations to an individual issuer will not exceed 2%. 1 The total expense ratio excluding interest expense is 0.55%. Interest expense is borne by the Fund separately from the management fees paid to PIMCO. ^PIMCO pulls each security's yield to maturity from PIMCO's Portfolio Analytics database. When not available in the PIMCO's Portfolio Analytics database, PIMCO pulls the security's yield to maturity from Bloomberg. When not available in either database, PIMCO will assign a yield to maturity for that security from a PIMCO matrix based on prior data. In general, the calculation will incorporate the yield based on the notional value of all derivative instruments held by a Fund. A Word About Risk: An investment in an ETF involves risk, including the loss of principal. Investment return, price, yield and Net Asset Value (NAV) will fluctuate with changes in market conditions. Investments may be worth more or less than the original cost when redeemed. Certain U.S. Government securities are backed by the full faith of the government, obligations of U.S. Government agencies and authorities are supported by varying degrees but are generally not backed by the full faith of the U.S. Government; portfolios that invest in such securities are not guaranteed and will fluctuate in value. Inflation-linked bonds (ILBs) issued by a government are fixed-income securities whose principal value is periodically adjusted according to the rate of inflation; ILBs decline in value when real interest rates rise. Treasury Inflation-Protected Securities (TIPS) are ILBs issued by the U.S. Government. Investing in foreign denominated and/or domiciled securities may involve heightened risk due to currency fluctuations, and economic and political risks, which may be enhanced in emerging markets. Derivatives may involve certain costs and risks such as liquidity, interest rate, market, credit, management and the risk that a position could not be closed when most advantageous. Investing in derivatives could lose more than the amount invested. The Fund uses an indexing approach and may be affected by a general decline in market segments or asset classes relating to its Underlying Index. The Fund invests in securities and instruments included in, or representative of, its Underlying Index regardless of the investment merits of the Underlying Index. The ICE BofA Merrill Lynch 0-5 Year US High Yield Constrained Index tracks the performance of short-term U.S. dollar denominated below investment grade corporate debt issued in the U.S. domestic market with less than five years remaining term to final maturity, a fixed coupon schedule and a minimum amount outstanding of $250 million, issued publicly. Prior to September 30, 2016, securities with minimum amount outstanding of $100 million qualified. Allocations to an individual issuer will not exceed 2%. “ICE BofAML” and “The ICE BofA Merrill Lynch 0-5 Year US High Yield Constrained Indexsm” is reprinted with permission. © Copyright 2018 Merrill Lynch, Pierce, Fenner & Smith Incorporated (“ICE BofAML”). All rights reserved. “ICE BofAML” and the ICE BofAML Indexes are service marks of ICE BofAML and/or its affiliates and have been licensed for use for certain purposes by PIMCO on behalf of the Funds that are based on the ICE BofAML Indexes, and are not issued, sponsored, endorsed or promoted by ICE BofAML and/or ICE BofAML’s affiliates nor is ICE BofAML and/or ICE BofAML’s affiliates an adviser to the Funds. ICE BofAML and ICE BofAML’s affiliates make no representation, express or implied, regarding the advisability of investing in the Funds or the ICE BofAML Indexes and do not guarantee the quality, accuracy or completeness of the ICE BofAML Indexes, index values or any index related data included herein, provided herewith or derived therefrom and assume no liability in connection with their use. As the index provider, ICE BofAML is licensing certain trademarks, the ICE BofAML Indexes and trade names which are composed by ICE BofAML without regard to PIMCO, the Funds or any investor. ICE BofAML and ICE BofAML’s affiliates do not provide investment advice to PIMCO or the Funds and are not responsible for the performance of the Funds. ICE BofAML compiles and publishes the ICE BofAML Indexes. PIMCO has entered into a license agreement with ICE BofAML to use each Underlying Index.